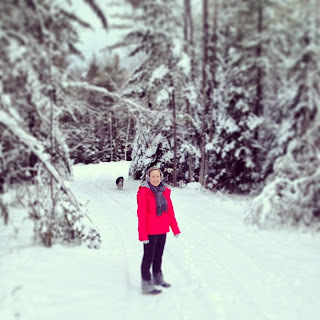 Things were so busy around the holidays that I may have forgotten to mention this, but Alex and I spent last weekend enjoying the snow in northern Michigan. My parents were very generous and gifted us two plane tickets for a weekend visit since us city folks were WAY too scared to rent a car and drive the 400 miles up there in Midwest winter weather. We found tickets on a great little airline that makes weekend flights from Chicago Midway up to Pellston Regional Airport, which is only about an hour drive from my parents' place. Perfect! The weekend was short, but we had a great visit with my parents and siblings. My mom had the cabin decorated beautifully for the holidays, but the scenery alone was pretty enough. It hasn't snowed much at all in Chicago this winter, so it was great to head Up North for some real winter weather. For Christmas my dad gave my mom a two pairs of his and hers cross country skis-- I can't wait to go up next winter and try them out! Can always count on good faces from these two. 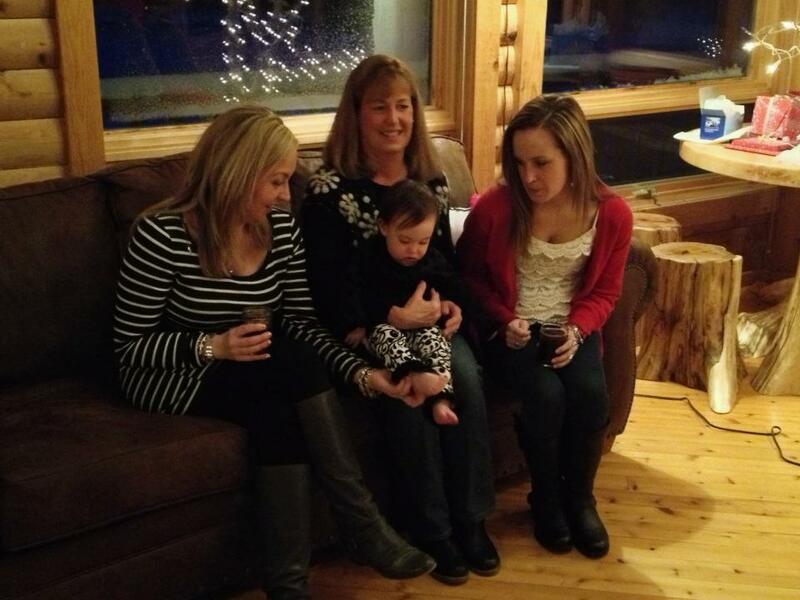 3 generations of women on one couch... look out! Our adorable niece looking MUCH older than last December! And if you ever wondered where my love of cooking and entertaining came from, look no further. My mom loves it just as much as I do! We had some great food this weekend starting right when we arrived on Friday night-- mom made a white smoked chicken chili and cornbread. And then on Saturday night she got all theme-happy and made a Nordic holiday dinner complete with ribs, Swedish meatballs, hasselback potatoes, and 7 kinds of cookies. It was so nice to spend 48 hours with some of my favorite people in one of my (new) favorite places. Thanks, Mom and Dad!